HyperStealth Biotechnology Corp. in conjunction with 3M Commercial Graphics discusses the new SpecAm weapons coating technology. The newer digital patterns have provided some complex designs not easily reproduced for hand painting which has been the application option of choice by Special Forces. German Police have requested samples from HyperStealth and weapons concealment is an area HyperStealth has been researching for the past 21 months since requested from the Military Office of His Majesty (Kingdom of Jordan). HyperStealth Biotechnology Corp. has also been researching camouflage application in conjunction with 3M Commercial Graphics for vehicles and large structures for the past 27 months and an obvious solution to small arms was the 3M ScotchPrint vinyl wrap used on bus advertising. While this 3M Vinyl technology has been used by others to place on guns for some time, there has to some modifications to the technology to allow the use in military applications - these changes are being developed but will not be discussed here. However, one large area of weapons camouflage use is expected to be by recreational outdoor sports such as hunters, Airsoft, Paintball... and as such the existing technology needs no modifications. HyperStealth now sells different series of these 3M wrap kits for this market. 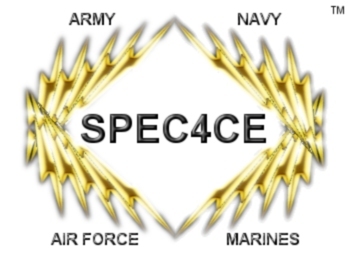 Spec4ce already available to preorder in five color schemes and a sixth (Metro) specific for law enforcement and military. The 3M material is fairly easy to apply, it can be removed easily without residue allowing simple conversion to a different color scheme, It does not stain and can be washed with water and it will protect the finish on the weapon. Why use a good uniform camouflage pattern if your black weapon will give away your position? This works with HyperStealth's view - if we provide a great pattern, why stop at the uniforms!